In May 2017, at the Fibershed Producer meeting, people interested in creating a new, online Fibershed Marketplace were invited to stay, brainstorm, and form a Marketplace steering committee. For the next seven months, a core group of folks (who evolved into the inaugural Coop Board) met regularly, and worked with Fibershed and attorney Jenny Kassan to establish a formal business entity to build and operate the Marketplace. Once an Agriculture Cooperative was selected as the business entity, the Board drafted Articles of Incorporation and Bylaws, designed a membership model and cap table for Coop shares, created an eight-year Profit & Loss projection and budget, and began to interview agencies to design and build the new Marketplace website. The Coop raised an initial $40,000 from the Lift Economy Force For Good Fund to support initial efforts, and the State of California approved Articles of Incorporation on January 2, 2018. The Fibershed Marketplace is just one of many member services the Coop hopes to provide. Stephany Wilkes, Ph.D., is a writer, researcher, business strategist, and UC-certified sheep shearer and ASI-certified wool classer. She practices all of these skills throughout the Northern California Fibershed and beyond. Stephany cultivates a dye garden, knits, spins, and offers fiber classes and workshops at yarn shops, festivals, and schools, to help people learn more about where their clothes come from. Her first book, Raw Material: Working Wool in the West, is forthcoming from Oregon State University Press in October 2018. 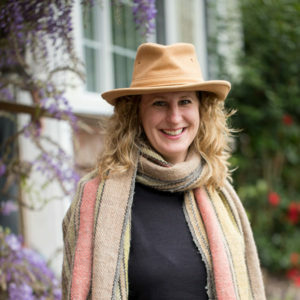 Rebecca Burgess, M.Ed., is the Executive Director of Fibershed and Chair of the Board for the Carbon Cycle Institute. 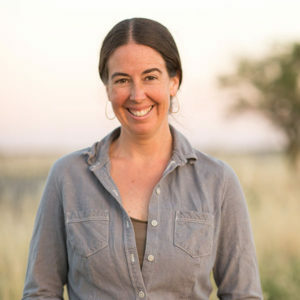 She has over a decade of experience writing and implementing hands-on curricula on the intersection of restoration ecology and fiber systems. She has taught at Westminster College, Harvard University, and has created workshops for a range of NGOs and corporations. She is the author of the best-selling book Harvesting Color, a bioregional look into the natural dye traditions of North America. She has catalyzed an extensive network of farmers and artisans within our region’s Northern California Fibershed to pilot regenerative fiber systems models at community scale. Lani Estill and her family own and operate a vertically integrated, diversified livestock operation producing cattle, sheep, alfalfa, and grass hay in Northeastern California and Northwest Nevada. They practice regenerative agriculture and, with the help of partners like Fibershed and the Carbon Cycle Institute, now operate under a Carbon Farm Plan. They grow healthy soils, food, and fiber in a regenerative, sustainable manner. Lani is the founder of Lani’s Lana Fine Rambouillet Wool, a commercial wool business and small yarn line that produces yarn and roving for use by brands, fiber artists, commercial artisans and anyone who loves to create with wool. Lani holds a BS degree in Agricultural Economics from the University of Nevada Reno, studied Accounting at Sacramento State, and passed the CPA exam. Lani has four children, three of whom are continuing in the livestock business, and one at home aged 9. 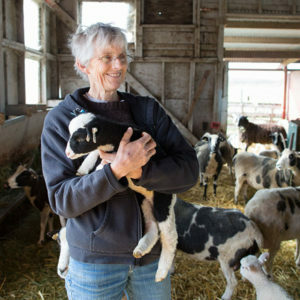 Robin Lynde raises Jacob sheep in Vacaville, California, where she owns and runs Meridian Jacobs, a farm shop and classroom. Robin has served in numerous local fiber and agricultural associations and actively promotes regenerative agriculture practices. Her exhibit on farm and fiber business has been recognized as the Best Educational Presentation at the CA State Fair sheep show six times in recent years. She was the Registrar for the Jacob Sheep Breeders Association for 12 years, is training as an inspector for the same organization, and is a 13-year board and artisan member of The Artery in Davis, CA. Robin holds a BS in Range and Wildlands Science from U.C. Davis and an MA in Physical Education (Exercise Physiology) from Sonoma State University. She and her husband have three grown children. 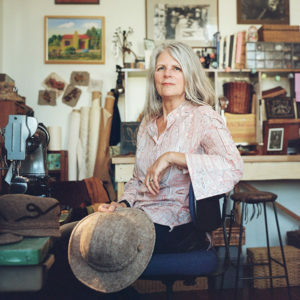 Carol Frechette is an accomplished hat maker, designer, production systems developer, and entrepreneur. She is the owner and artisan of 2NFrom™, where she uses sustainable fabrics and existing materials to create beautiful handcrafted accessories. An artisan member of the Northern California Fibershed, Carol creates hats and bags using local sheep wool, hides, and locally grown naturally colored cotton. Her convictions lie deeply with the natural world around her and how best to integrate these natural resources with contemporary designs, production, and delivery. 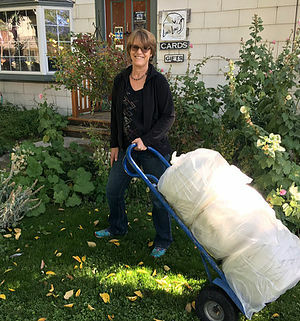 Carol has been involved with marketing and selling Fibershed producer and artisan products along with her own at local bay area farmers’ markets. She has recently moved to Gualala, California on the Mendocino coast, and she and her husband have two grown children.